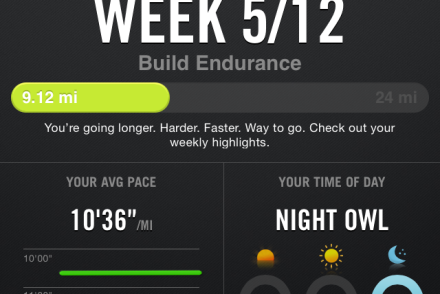 Taper week is here and there’s much debate between runners about it. Some love it, some hate it. I for one, relish it. It gives me a chance to relax before the big day. 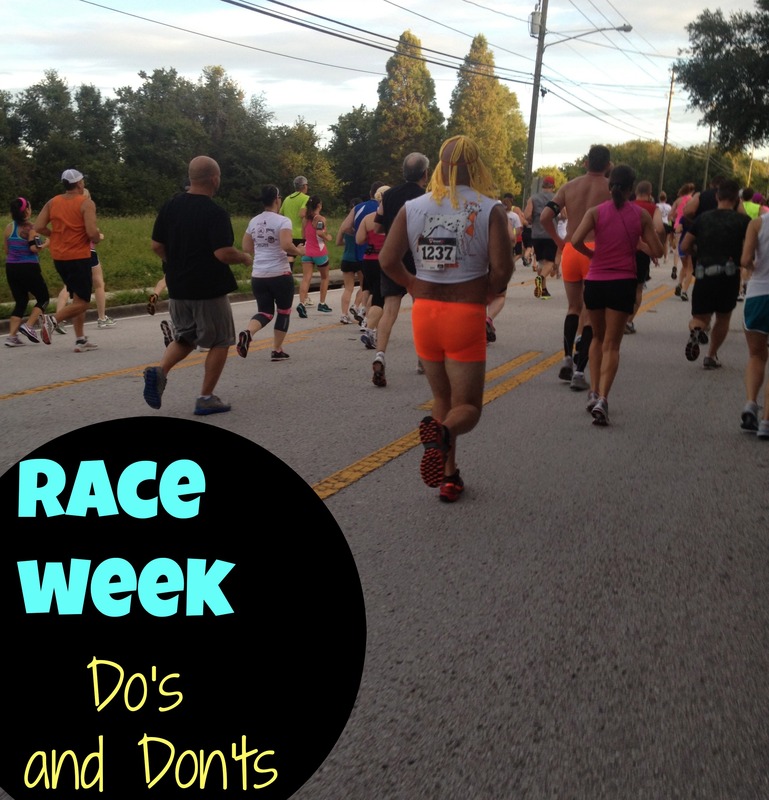 So, here’s my list of do’s and don’ts for race week! Relax. You’ve put in the training. This is the time to take a look at your wardrobe, supplies and anything you’ll need for your race. Make sure you have everything you need before the big day. Sleep. Make sure to get plenty of rest. Ever notice how staying late one night doesn’t really affect you too much till two days later? That’s what normally happens to me. I can coast the day after staying up late, but two days later, I’m a mess. Hydrate. Get your body ready by staying hydrated all week. Over train. This is not the time to run the most miles. Or the time to test out your new strength training plan. Worry. This is not the time to look up what you should have done, or what you could have done. Alcohol. Up to you, but I tend to stay away from it during race week. Most importantly, remember all the sacrifices you may have had to make to get you to this week. Get excited about the opportunity to complete your goal. You’ve come so far! Enjoy it, your race will be here before you know it. Thank you for the tips! 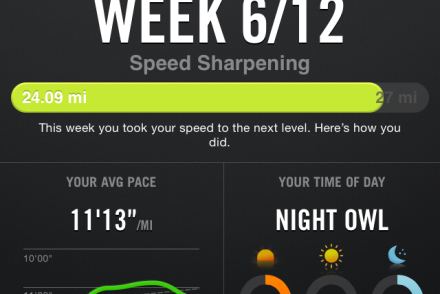 I definitely agree to stay away from alcohol, it can definitely effect the run. Definitely sleeping and hydrating is so important. I think sleep and hydration are probably the most important things you can do before a race! I don’t know the first thing about running in a race but that photo is HILARIOUS! Right? It was so funny to see people dressed up. I normally don’t take pictures as I’m running, but I just couldn’t help myself this time. Great tips for a newbie runner as myself. Thanks! You are welcome! Let me know if you have any questions, I’d love to help you. Great tips, especially for the Rock and Roll 1/2 tomorrow! Good luck! Can’t wait to read about your race!